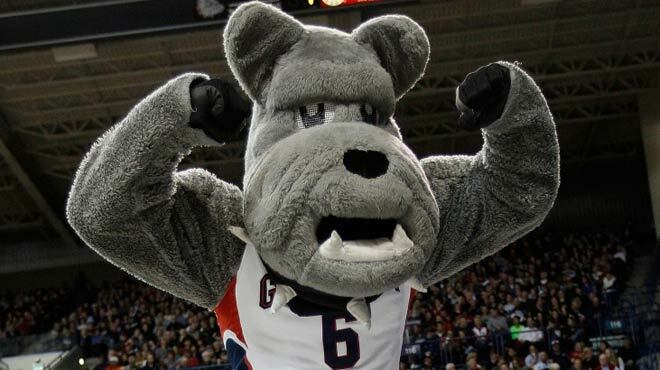 The Gonzaga Bulldogs are favored by top online betting sites over the Fairleigh Dickinson Knights by 27.5 points. Gonzaga finished the season with a 30-3 SU record (and a perfect 16-0 in WCC play). The Bulldogs also went 21-12 ATS per the best online sportsbooks. GU was the West Coast Conference regular season champions. However, the Bulldogs were upset, as 15-point faves, by the Saint Mary’s Gaels in the championship game. FDU went 21-13 SU this season (12-6 in Northeast Conference play). The Knights bested Saint Francis 85-76 in the NEC championship game as 4.5-point dogs. Moreover, FDU is coming off a win in the first round of the NCAA tournament. They defeated Prairie View A&M 82-76 as two-point favorites. That was the school’s first ever NCAA tourney win. The Bulldogs are the highest scoring team in the country with 88.8 points per game. Which is not surprising considering their 53.2% field goal shooting. Conversely, GU allows just 65.1 points per game and 38.9% field goal shooting. According to top online betting sites, Gonzaga is 21-1 SU and 14-8 ATS in its last 22 games, winning by an average margin of 30.1 points. The Bulldogs are also 4-0 ATS in their last 4 non-conference games. 7-2 ATS in their last nine games after a straight up loss. 7-3 ATS in their last 10 games following a double-digit home loss. And 1-4 ATS in their last five NCAA tournament games. The Knights are averaging 74.7 points per game but also allowing 72.5. FDU shoots 47.4% from the field while its opponents shoot 44.9%. The Knights are 301st in rebounds per game, compared to Gonzaga’s 28th. FDU is 9-0 SU and 8-1 ATS in its last nine games, winning by an average margin of 12.67 points. They are also 4-0 ATS in their last four non-conference games. 8-1 ATS in their last nine games overall. 7-1 ATS in their last eight games after a straight up win. And 6-1 ATS in their last seven games following a cover. Pick: This matchup is so disparate that it’s almost not fair. Gonzaga’s superior firepower could easily cover the point spread set by top online betting sites. And then just turn the autopilot on. And if they so choose to. Of course, that would be suspicious. Anyway, take the Bulldogs and the points.